TAUNTON, Mass. 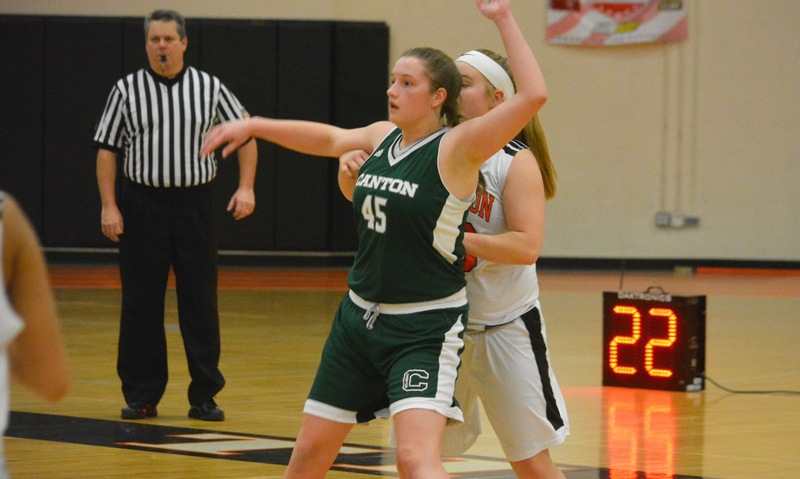 – There was no hiding the fact that Wednesday’s game was a big one for both Taunton and Canton, two programs hovering around the .500 mark and trying to fight their way back to the postseason. Behind 25 points and 15 rebounds from senior forward Hannah Jerrier and strong contributions off the bench on both ends of the floor, the Bulldogs turned a two-point halftime deficit into a 56-46 victory that brings them back to .500 overall and in the league. Trailing by two at the break, the Bulldogs came out with a 2-2-1 full-court press and held Taunton without a made basket for the first seven minutes of the third quarter. Choquette said that Canton had not practiced the press this season, but the players decided it would be effective. 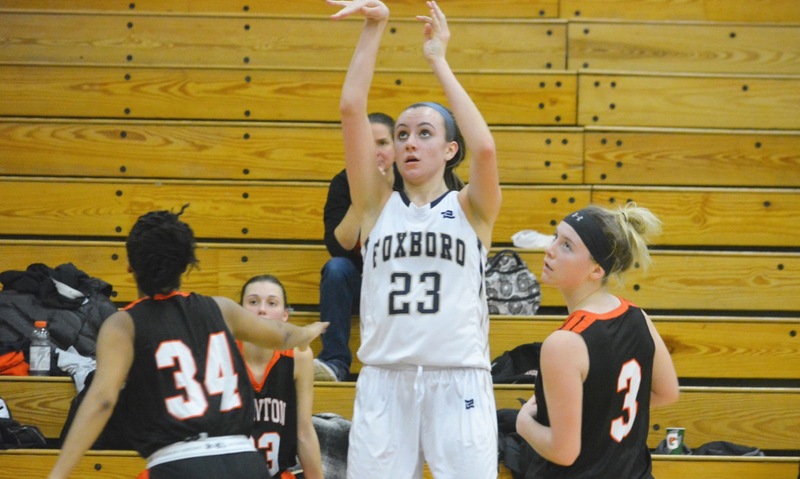 Following a pair of Taunton free throws, Jerrier scored in the paint off an assist by Erin Devine, who used her 6-foot-3 frame as a passer in the high post, and then Canton tied the game on a offensive rebound by Maggie Connolly (nine points and 12 rebounds). Julia Hamilton put the Bulldogs ahead with a pull-up jumper. It was a lead that Canton would never relinquish. Devine grabbed an offensive rebound and scored, as the Bulldogs pushed the lead to five points before the Tigers finally got a shot to fall in the second half. There were only 50 seconds left in the third when MacKenzie Handrahan (11 points and six boards) scored underneath on an assist by Tori DaRosa. Sonya Fernandez (nine points and eight rebounds) scored on a putback to cut Canton’s lead to 35-32 heading to the final eight minutes. Canton broke the game open a little at the start of the fourth. Again, Devine played provider with an assist over the top of the Taunton defense to Jerrier on the block. 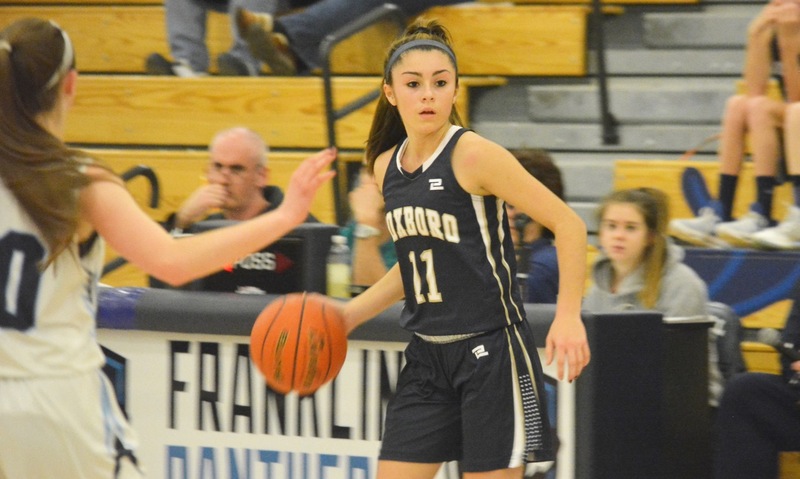 Defense continued to turn into offense for the Bulldogs and Connolly scored off a steal and layup and then she scored on a back-cut off a feed from point guard Hamilton. Connolly scored seven points in the fourth. The Bulldogs jumped out by nine points, but Taunton bounced right back with seven straight points. Handrahan scored in the post and then freshman Kelsey White (11 points) got a steal and a layup. After Handrahan scored on an offensive rebound to make it 43-41, Taunton got a steal but immediately lost the ball and Handrahan fouled out diving into the pack after the loose ball. At times this season, Canton has struggled down the stretch of games. On Wednesday, the Bulldogs put Taunton away with a 13-5 run. Jerrier hit a pair at the line and got free underneath for two points on an inbound play. White drilled a three that cut the lead down to six but a Connolly steal and layup sealed the win. “In the past few games, even in some of our wins, we’ve struggled to finish games off, so I think the difference tonight was getting loose balls and obviously most games we have a height advantage but that doesn’t always mean we win the rebounding or free throw battle and I think we did a good job of that,” Choquette said. Taunton had the lead in the first half despite struggling offensively for long stretches. After an 0-for-11 start from the field, the Tigers made eight straight shots including a Fernandez jumper at the buzzer to have a 16-11 lead after one. Hannah Moniz scored all five of her points in the first. 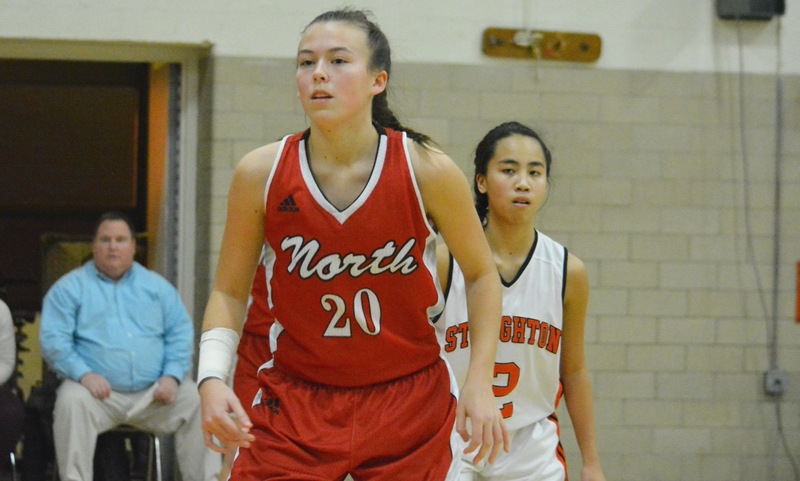 In the second, Jerrier scored eight points and sophomore Lilah Milton added four of her eight, but the Tigers had another late flurry, including a White three in the final seconds of the half, to take a 25-23 lead at the break. Canton (6-6, 5-5) will step out of the Hockomock League on Monday when the Bulldogs travel to Dover-Sherborn. Taunton (6-9, 4-6) will try to bounce back on Tuesday at Stoughton.